It's a good thing Renée Zellweger has finally come to terms with her starring role in Texas Chainsaw Massacre: The Next Generation because we're getting an awesome blu-ray collector's edition from Scream Factory of the 90s cult classic this December. If looks could kill, he wouldn't need a chainsaw. "Leatherface" is BACK! Scream Factory proudly presents the fourth installment of the terrifying franchise Texas Chainsaw Massacre. 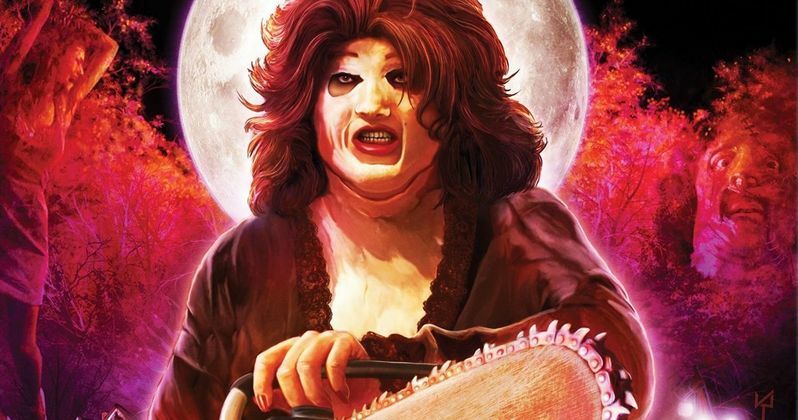 Texas Chainsaw Massacre: The Next Generation makes its blu-ray debut in North America on December 11, 2018 and is presented in an ultimate collector's edition featuring both the theatrical and director's cuts, with loads of new extras including new audio commentary and interviews with cast and crew. Texas Chainsaw Massacre: The Next Generation is rated R for demented mayhem and torture, and for strong language.